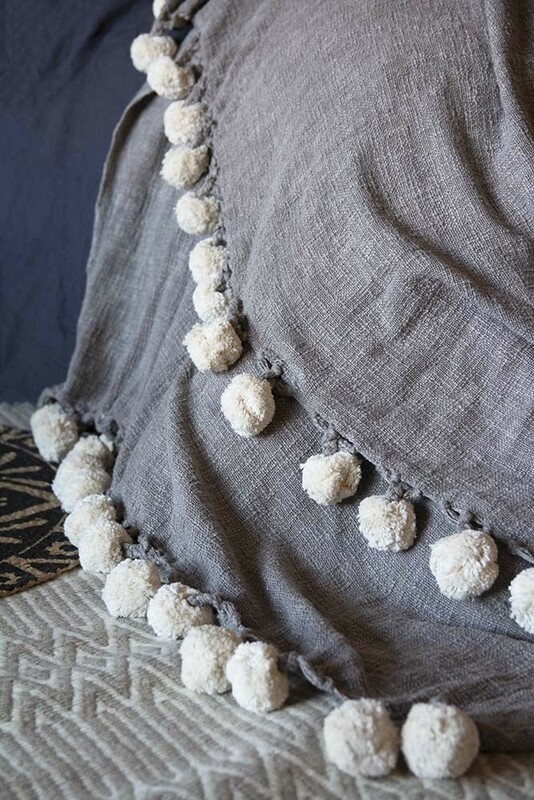 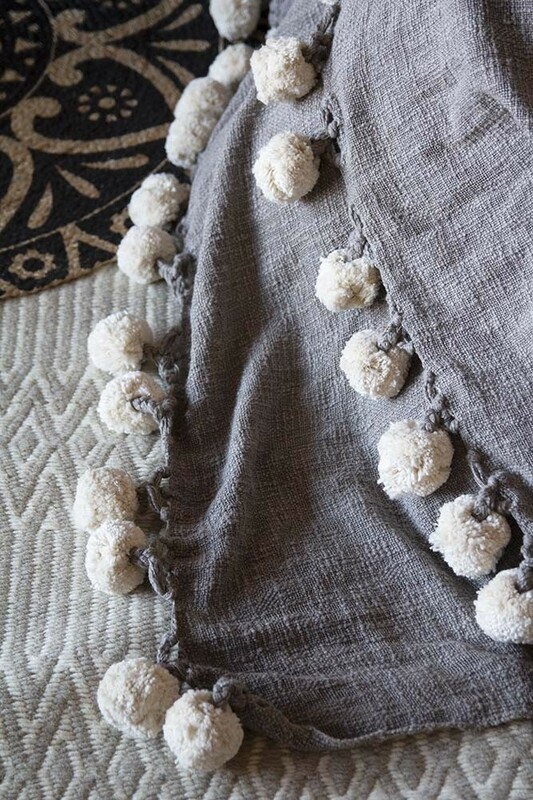 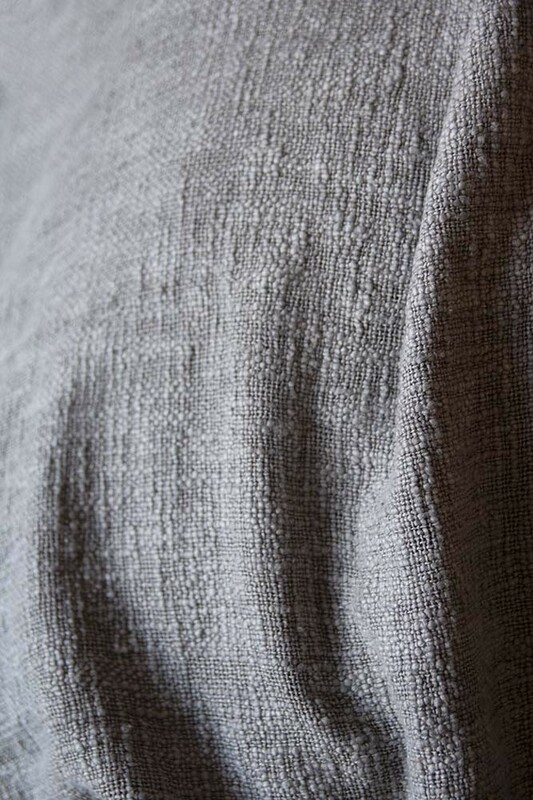 Super soft to touch, the light weight Soft Grey Cotton Throw With Ivory Pom Poms is the perfect throw for your sofas, armchairs, beds and the backs of your chairs to keep you warm during the winter months or whilst you are dining alfresco in the summer. 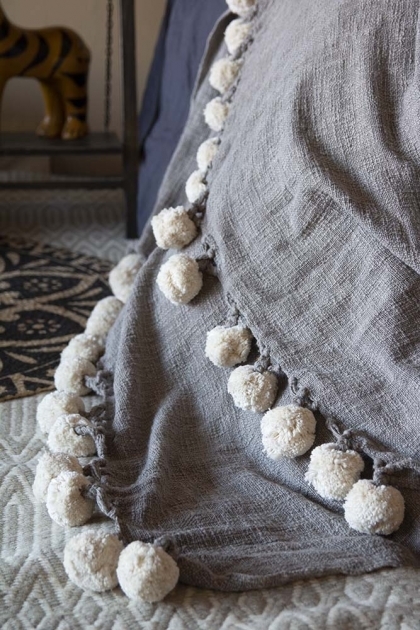 Smaller than our Moroccan Cotton Pom Pom Blankets, we love the Soft Grey Cotton Throw With Ivory Pom Poms because its super stylish and will mix easily with your interior style – softening industrial interiors, adding playful texture to boho interiors and comfort to scandi styles. A gorgeous blanket, we think that the Soft Grey Cotton Throw With Ivory Pom Poms would make a lovely gift for your loved ones.